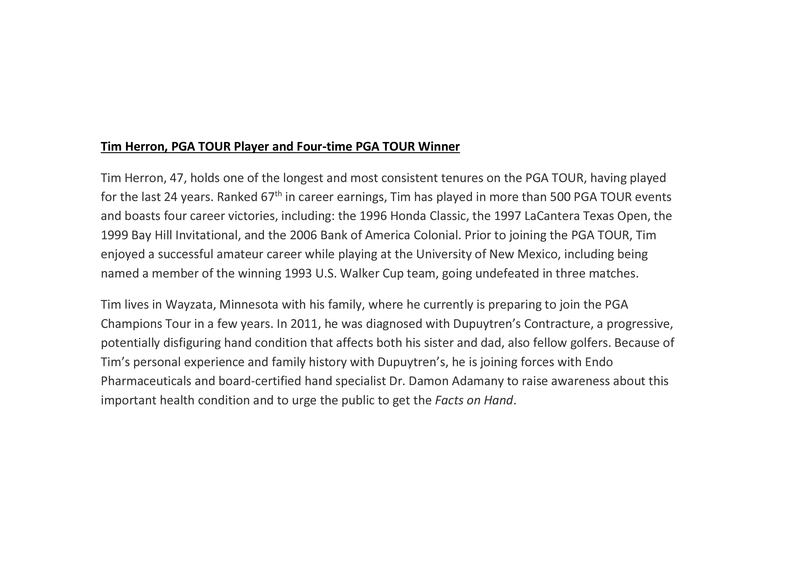 DUBLIN and MALVERN, Pa., September 26, 2017 – Four-time PGA TOUR winner Tim Herron is teaming up with Endo Pharmaceuticals Inc., a subsidiary of Endo International plc (NASDAQ: ENDP), Damon Adamany, MD, of The CORE Institute and the Facts on Hand campaign to educate adults about one of the more common hand conditions. 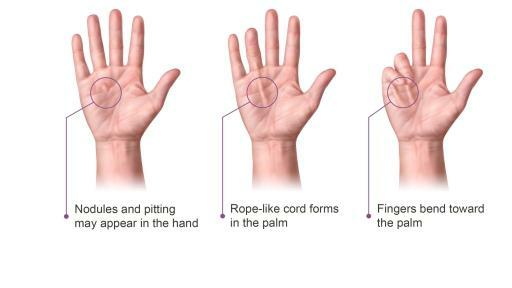 The campaign is raising awareness of Dupuytren’s Contracture, a progressive, potentially disfiguring hand condition affecting a layer of tissue underneath the palms that can cause one or more fingers to move into a bent position so they cannot be straightened. 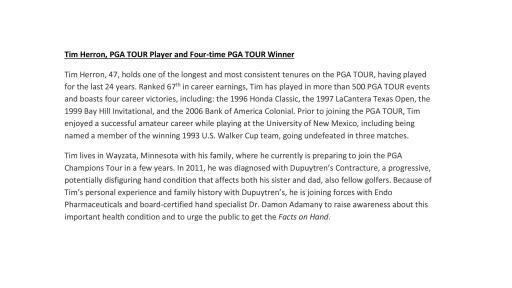 Dupuytren’s Contracture, sometimes referred to as “Viking Disease,” can make everyday tasks difficult, such as grabbing an object at home, or in Tim Herron’s case, a nine iron from his golf bag. Many people live with the disease without being diagnosed because they mistakenly assume they have arthritis or another hand condition. And because Dupuytren’s Contracture may progress slowly, people may not pay attention to it until they can no longer straighten their fingers, complicating everyday activities. Both Tim’s father and sister, fellow golfers, also have the condition, which tends to run in families, especially those with Northern European descent. That’s why raising awareness of Dupuytren’s Contracture is important to Tim. Together with Endo and Dr. Adamany, a board-certified hand specialist, Tim is encouraging those who are concerned to get educated and speak to a hand specialist or hand surgeon who can provide an accurate diagnosis and discuss possible treatment, including non-surgical options. Individuals may start to notice the development of a lump, or nodule, at the base of the finger prior to the formation of a contracture. The condition most commonly impacts the ring and pinky finger and can occur in one or both hands. To learn more about the Facts on Hand campaign, visit www.FactsonHand.com. 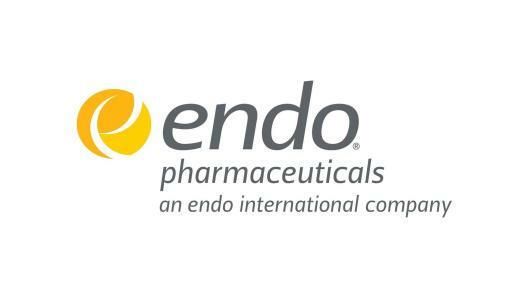 Endo Pharmaceuticals Inc., headquartered in Malvern, PA, develops and markets high-value, quality branded pharmaceutical products for patients in need. 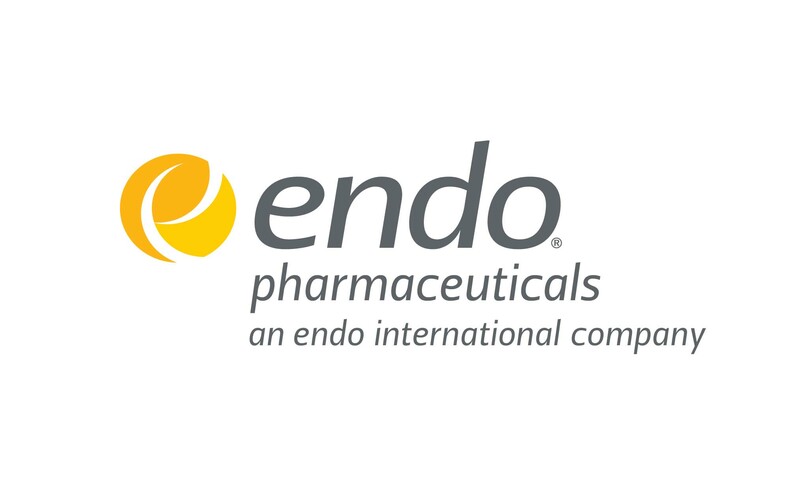 Endo Pharmaceuticals’ portfolio includes products for urology, men’s health, orthopedics, endocrinology and hematology. Endo Pharmaceuticals is an operating company of Endo International plc. Learn more at www.endo.com or www.endopharma.com.